The Cuban capital has much to offer the visitor. There is Old Havana (La Habana Vieja) and its fortifications, a UNESCO-listed World Heritage Site that includes the mighty Cathedral of the Virgin Mary of the Immaculate Conception, La Cabana fort, and the Grand Theatre. Then there are the old haunts of Cuba’s most famous sons: Fidel Castro, Che Guevara, and Ernest Hemingway (an honorary Cuban of sorts). And that’s before we’ve even mentioned its famed vintage cars, cigar factories and rum distilleries. But for those willing to discover Havana further, taking their time, the city offers a whole lot more. There is a hidden city of little-known secrets enjoyed by Havana’s locals which opens up and reveals itself to visitors with time. Discover Havana in a different way. Discover what it is like to be a local in this fascinating city. To help set you on your way, we pick our five favourite little-known Havana secrets that really shouldn’t be missed. We know what you’re thinking. Parque Central, a little-known secret? Really? Really. Located in the heart of the old city surrounded by the Grand Theatre (Gran Teatro) and other masterly neoclassical and baroque buildings, Havana’s Central Park is a firmly established fixture on the tourist circuit. 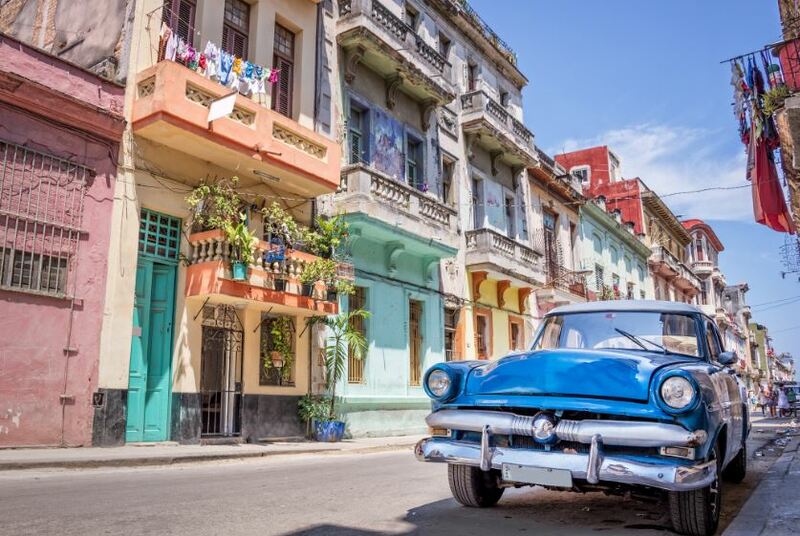 However it does have its secrets, showing that even the most well-known areas of Havana have something new to offer those willing to explore a little deeper. A bustling green space throughout the day, this is where to come to watch Havana’s residents at play, and a popular picnic spot. The park also offers a chance to consider the city as one of contrasts, for beside the stones memorialising a massacre of medical students in 1871 you’ll find some of the most trustworthy WiFi anywhere in the city. Overlooking the park is one of the finest hotels in Havana, the Inglaterra Hotel. Located on its rooftop, with spectacular views over the city and the park, is a cocktail bar that often boasts a live band and professional salsa dancers. It is the perfect end to a day discovering Havana’s little-known secrets. A narrow pedestrian alleyway no more than two blocks long in the Centro Habana neighbourhood, Callejón de Hamel is the place to discover Havana’s Afro-Cuban culture and its Santeria religion. What will strike you first are the stunning brightly coloured murals and sculptures made from scrap materials that are the creation of artist Salvador González and depict various aspects of the religion. Santeria combines the teachings of Catholicism with those of African traditions that travelled to Cuba during the period of the transatlantic slave trade. It’s here in Callejón de Hamel that its beliefs and practitioners are most evident, especially on Sundays. Sundays see the religion’s faithful put on spectacular dance performances in a blaze of colour and sound. Seats are available if you get there early enough, with the performances lasting from around midday until 3 pm. To discover more about the religion you can visit the Oricha Museum across from Parque Central. The museum is dedicated to Santeria and houses a series of statues depicting the religion’s different orichas, or saint-gods, in front of painted backdrops. Like many Latin cultures in both Europe and the Americas, the people of Havana love to see and been seen while strolling in the cool of evening. The Malecón (sometimes written as Avenida de Maceo on maps) is the longest promenade on the island, and a great place to discover Havana further by delving into the unspoken rules of this scene. It stretches eight kilometres along the coast from the mouth of Havana harbour through the Centro Habana neighbourhood to the neighbourhood of Vedado (see below). It’s possible to discover Havana’s Malecón even if you don’t fancy walking after a hard day of exploration. Why not cruise the length of road in one of the country’s vintage vehicles? We suggest using a convertible to really feel the atmosphere and get involved. The promenading reaches its peak once the sun’s gone down and the lights come on. For those in the know, the Vedado neighbourhood is Havana’s most fascinating. A hub for the capital’s alternative cultures, it is a haven of artist’s studios, museums, cinemas, clubs and bars. Loaded with a retro-chic unlike anywhere else in Havana, Vedado is a great place to discover Havana free of other tourists. It’s most vibrant street is perhaps Avenida 23, more generally known by locals as La Rampa. The city’s best-loved cinema, the Yara, is to be found on the corner of Calle L, one of Havana’s liveliest junctions. An alternative to the hipster leanings of the Vedado neighbourhood is Havana’s Chinatown. It dates back to the mid-1800s when 150,000 Chinese were brought to Cuba as cheap labour, and was at its most lively during the 1950s. Down on its luck for many years, it is now seeing a revival in its fortunes. Commonly known by locals simply as FAC, La Fábrica de Arte Cubano is a cultural centre and art gallery by day, and popular club by night. Starting life as a cooking oil factory, it was built in 1910. Today, its smokestack acts as a beacon to art lovers and party goers alike. One of the newest spots to discover in Havana it opened in February 2014 after the building was purchased by a group of artists and musicians seeking out a central location in which to hold events. A marker of the way Cuba is (albeit slowly) opening up to the world and new ideas, FAC is now considered the premier arts venue on the island. It regularly hosts gala events in addition to acting as an art gallery and nightclub, and is a great place for visitors to interact with younger Cubans in a relaxed atmosphere. So, there you are, our favourite little-known secrets to discover Havana as an expert. 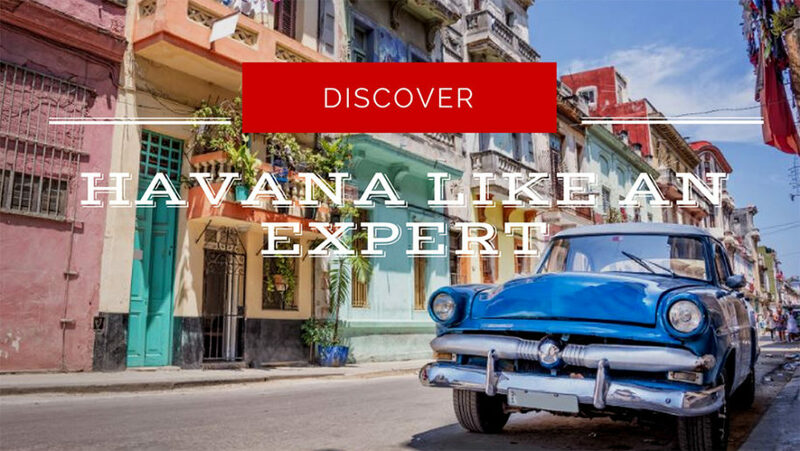 Once you’ve explored the main sights, make sure to discover Havana’s more local side too! Do you have any questions? Just leave a comment below!